The Nonprofit Academic Centers Council is pleased to provide the following resources in support of its member centers and the field of philanthropic and nonprofit sector studies. NACC gratefully acknowledges the David and Lucile Packard Foundation for its support of the development of these resources. 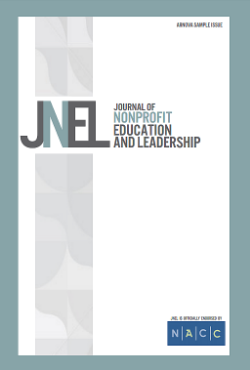 NACC is proud to endorse the Journal of Nonprofit Education and Leadership. Learn more about this valuable publication. Please see the Journal of Nonprofit Education and Leadership’s journal navigation tool for finding the nonprofit articles.